An associate of Igor Dodon, the frontrunner in Moldova’s upcoming presidential election, is linked to a mysterious Russian-linked offshore corporation that appears to have funneled at least 30 million lei (about US$ 1,5 million) into Dodon’s Socialist Party over the past three years. The sum represents about two-thirds of the party’s annual financing, based on last year’s party budget of $1.4 million. It is not yet clear how much the party plans to spend on the presidential election this year. Dodon and Corneliu Furculiţă, a Socialist member of Parliament, both hail from Sadova, a village about 50 kilometers northwest of the Moldovan capital of Chisinau. 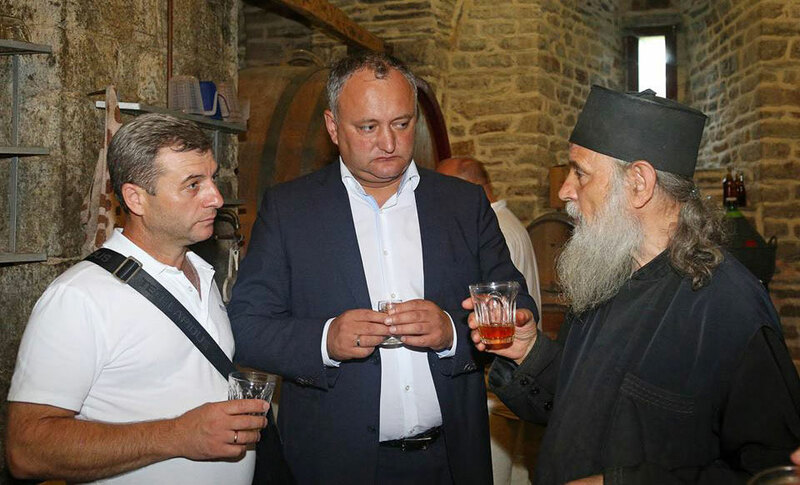 Reporters for RISE Moldova traced multiple interactions between the two over the years, including a trip earlier this summer to the Greek monastery of Zograf on Mount Athos attended by a number of Socialist Party members. Some interactions were commercial: in 2013 Dodon sold an apartment in the Chisinau neighborhood of Riscani to Furculiţă for more than 270,000 lei (about $14,000). Others involved family members: Dodon’s wife, Galina, has worked for at least the past two years for Furculiţă’s company, Exclusiv Media Ltd., which was founded in Chisinau in 2011. RISE Moldova discovered that Exclusiv Media was instrumental in getting the offshore money into the coffers of the Socialist Party. They traced the money’s torturous trail to Westerby Ltd., a company founded 17 years ago in the offshore tax haven of the Bahamas. The reporters also discovered that Socialist Party member Peter Burduja, who runs Exclusiv Media, is a business partner with the presidential candidate of a rival political party: Dumitru Ciubaşenco, the candidate of Renato Usatîi’s Our Party. The two have been partners in the Panorama Russian-language newspaper since 2015. It’s unclear who founded Westerby because the founders’ names are hidden behind a veil of secrecy. What is clear is that in February of this year, Westerby made a one-year loan of more than $ 1.5 million to Exclusiv Media at the very advantageous rate of 1.7 percent. The money was sent to Exclusiv Media’s account at Victoriabank. Curiously, the loan agreement states it follows all the rules of the Russian Federation—a puzzling stipulation for a loan from a Bahamas-registered firm transferred from its Swiss account to a company in Moldova. How the loan was handled is even more interesting. Reporters for RISE found that about two-thirds of it was withdrawn in cash in March and April from Victoriabank by Burduja, according to documents signed by Furculiţă’s wife, Ludmila. Burduja told bank officials the cash would be used to “repay financial aid to individuals” and to cover current needs. Records show that at least $ 329,446 of it was fanned out around the Socialist Party in 13 interest-free loans of between 300,000 and 500,000 lei ($ 25,342) each to be repaid by Dec. 31, 2017. • Vladimir Odnostalco, a member of Parliament, received 500,000 lei on April 22, 2016. In the last 3 years, he has donated 350,100 lei (almost $18,000) to the party. His asset declaration for 2015 reports nearly 200,000 lei (about $10,000) in salary, a garden, a bank account containing 100 lei and an individual firm that bears his name. • Vasile Bolea, a member of Parliament, received 500,000 lei on April 11, 2016. He is best known as a legal adviser to the Solution Foundation established by Dodon, and has donated 184,500 lei (almost $9,400) to the party. • Petru Corduneanu, a Socialist city councilman and the former chief of the Public Order Ministry of Interior, received 500,000 lei on April 11. He donated 271,500 lei (nearly $14,000) to the party during parliamentary elections in 2014. • Dinar Cojocaru, a city councilman, doctor and businessman, received 500,000 lei on April 20. During the 2014 parliamentary elections he donated 407,500 lei (more than $ 20,000) to the party. • Vadim Filipov, city councilman and lawyer, received 500,000 lei on March 23. His donation to the party during the 2014 parliamentary election was 228,300 lei (nearly $12,000). • Maxim Lebedinschi, a former city councilman and member of the Central Elections Commission whose brother, Adrian Lebedinschi, is a Socialist member of Parliament, received 500,000 on March 22. He donated 188,100 lei (about $9,500) to the party in 2014. • Artur Bors, a Socialist Party member, received 500,000 lei; in 2014, he donated 76,000 lei ($3,800) to the party. • Vasile Porubin, an employee of Vesma-Teh SRL, received 500,000 in April. In the 2014 elections, he donated 76,100 (about $3,800) to the party. Vesma-Teh, a company owned by the family of Socialist parliamentarian Alla Dolinţa, owns the building where the Socialist Party is headquartered. Exclusiv Media was founded in Chisinau in 2011 by Vyacheslav Anghel. Four years later, Anghel sold it to several investors including Furculiţă, who hired Burduja (Ciubaşenco’s business partner) to run it. In late 2015, Furculiţă became the sole owner of Exclusiv Media, which obtained a broadcasting license for the television station NTV Moldova, sharing a trademark with the Russian station NTV, which is majority-owned by the Gazprom group. The Russian connection was further detailed in a news release by the Moldovan Broadcasting Coordinating Council (CCA) on Dec. 8, 2015, which said Furculiţă obtained the broadcasting license only after representatives of NTV Moldova agreed to increase local coverage in place of Russian programming. Exclusiv Media also owns Moldova’s Russian-language online TV outlet TSN and also the local edition of the Russian newspaper Аргументы и факты (Arguments and Facts), which is authorized to use the trademark of the newspaper in Russia with the same name by an agreement signed in Moscow on Feb. 1, 2012. The $1.5 million loan from Westerby to Furculiţă’s company represents about 25 times the family’s income, as reported in his statement of income for 2015. That same document shows that Furculiţă owns a building site, two apartments (one of them the one he bought from Dodon); a house; two cars, a 2009 Volkswagen Passat and a 2008 Toyota Auris; nine bank accounts; and two companies, Exclusiv Media and the Poliactiv SRL construction company. The Furculiţă family’s apartment at 62 Gheorghe Asachi St. in Chisinau is also the legal address of Elit Hunter Club Ltd., which a few years ago leased 168.7 hectares of forest from the agency Moldsilva for hunting after a 2012 court decision ruled in Hunter Elit’s favor. Documents from 2013 and 2014 show Hunter Elit held a 5.71 percent stake in a canning factory in Calarasi, where Furculiţă was a member of the board of administration. At the same time Alina Botoc, Dodon’s sister-in-law, held a 32.07 percent stake in the plant. Hunter Elit Club LLC is owned by Anghel, who founded Exclusiv Media and sold it to Furculiţă. 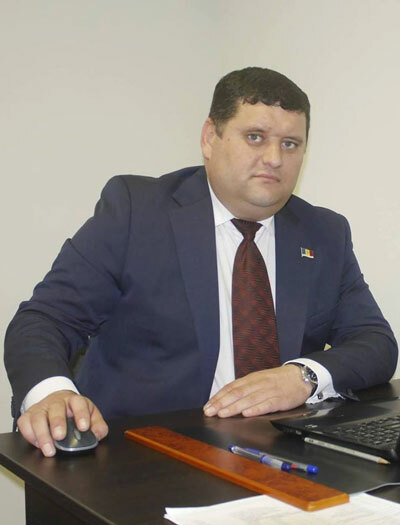 Anghel is also connected to other businesses that do not involve Socialists, and in the 2014 parliamentary elections appeared in a pro-Dodon election video, touting himself as an entrepreneur. According to the online database „nic.md” administered by SE MoldData and specialized sites, the IP address 195.22.228.187 connects hosts and domains owned by: Television online TSN (tsn.md); the newspaper Аргументы и факты (aif.md); the website of the Socialist Party ( socialistii.md and psrm.md); Dodon’s personal home page (dodon.md); the home page of Socialist parliamentarian Bogdan Ţârdea (bogdantsirdea.eu); the Association of Young Guards web page, led by Socialist parliamentarian Vlad Batrancea (gardatinara.md); and TVC Moldova League of Humorists web page, known as KVN Moldova (kvn.md). The Bahamian company Westerby has made other investments in Moldova. Reporters for RISE founds that between October of 2015 and March 2016, Westerby lent more than €6 million to the company Natur Bravo, one of the largest canneries in Moldova, which is run by a Russian citizen named Vasily Kheyman. The contract between Westerby and Natur Bravo, like the one between Westerby and Exclusiv Media, was signed by Westerby’s Panamanian director Zulphy Saday Santamaria Guerrero. The two signatures, however, are different. Westerby has also been sued in Russian courts by several companies. Courts of arbitration in Moscow and the Republic of Mari El are hearing claims by several companies seeking to recover about one billion rubles (about $16 million) from Westerby. In another case, the offshore company Clear Starinvest SA, is seeking $460,000 dollars.